We’ve all hear it before: water is life. In fact, every single system in your body needs it to survive. Water makes up about 60% of your body, and while you can survive without food for weeks, dehydration can kill you within days or even hours. Dehydration means more water is moving out of your body's cells than into them. In addition to water, small amounts of electrolytes critical to cell function and energy, such as sodium and potassium, are also lost when you become dehydrated. To perform at your peak, hydration is absolutely key. 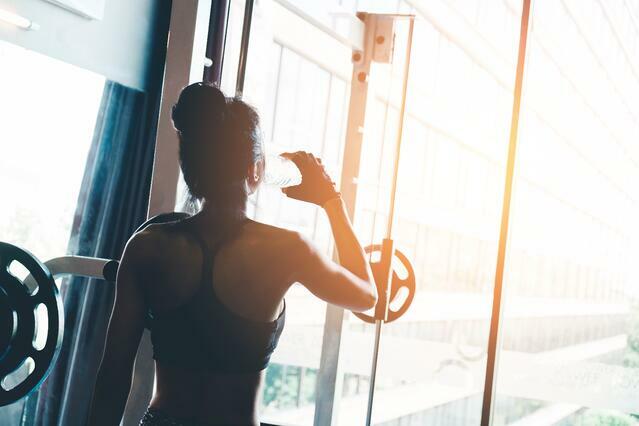 Did you know that as little as a 1% water loss can affect electrolyte balance and a 3% water loss can result in fatigue and impaired exercise performance? That’s not a lot of margin to mess around with, so hydration is clearly critical. The best way to stay hydrated is to drink ½ your body weight in fluid ounces of water every day. Coconut water is a tasty choice because it not only replenishes lost electrolytes during long, intense workouts, but it is also packed full of nutrients and antioxidants. Many athletes choose sports drinks because they contain carbohydrate sugars, vitamins and minerals. If you choose a sports drink, be sure you read the label in order to avoid artificial colors, flavors and sweeteners. In the brain, the hunger and thirst centers are located next to each other. Often, when we think we’re hungry, we’re actually thirsty. To avoid overeating at meals, drink a glass of water 15-20 minutes before you eat. It will ensure that you’re properly hydrated and will help to fill up your stomach. If you're interested in more expert fitness advice to feel and perform at your best, you can download a free digital copy of our Get Fit Like a Fighter booklet by clicking on the button below.